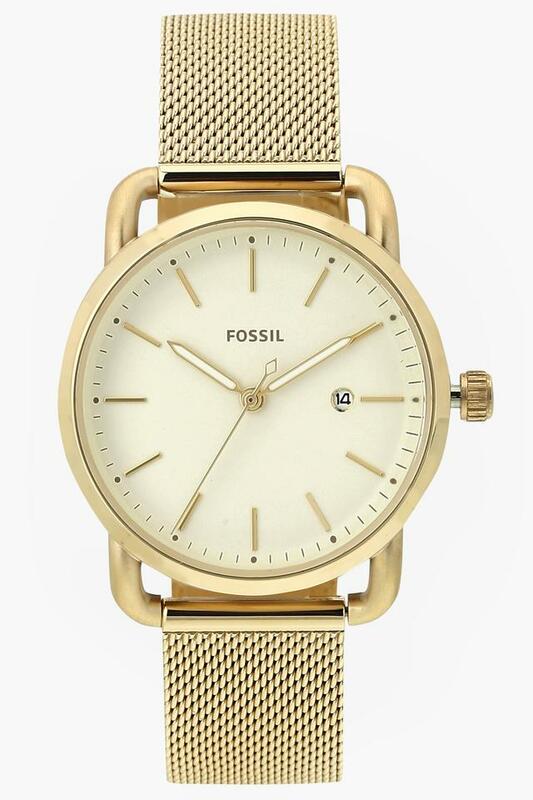 Crafted to excellence for urban women, this gold colored analogue watch from Fossil exudes timeless elegance. 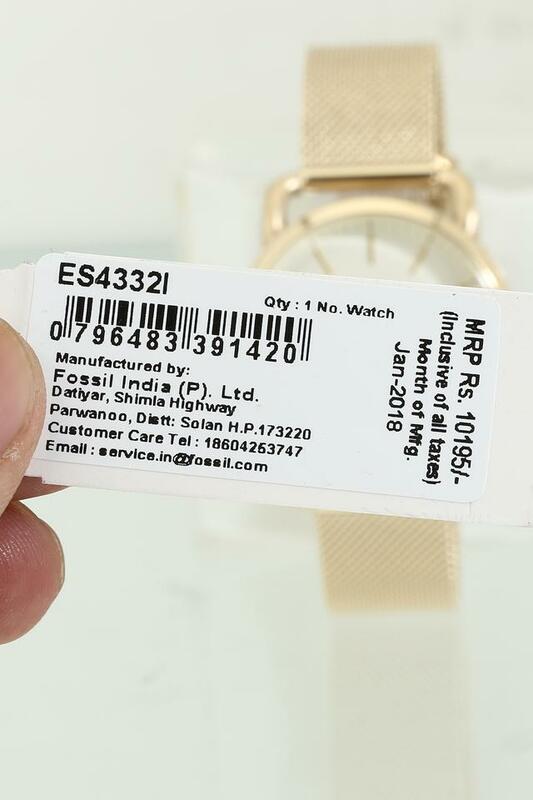 Featuring stainless steel strap and casing with a glossy finish, it has a round dial with luminous hands, date-display window and stick hour markers. 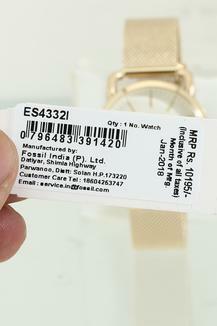 This watch has 5 atm water resistance. 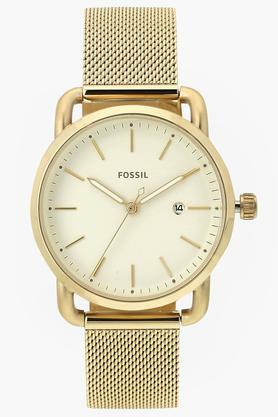 Look effortlessly cool with this analogue watch to pop up your look. There is a unique appeal to the whole look and feel of this distinctive piece of art that bound to set your heart a flutter.